Letter talks of sending two Berry girls to study at Battle Creek Sanitarium and asks for catalogs describing the areas of study. 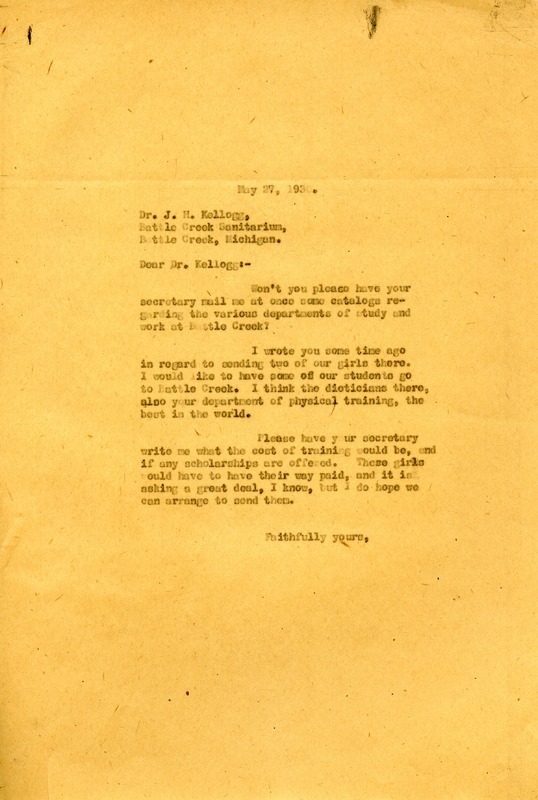 Martha Berry, “Letter to Dr. J. H. Kellogg from Martha Berry.” Martha Berry Digital Archive. Eds. Schlitz, Stephanie A., Chelsea Risley, Alan Henderson, et al. Mount Berry: Berry College, 2013. accessed April 25, 2019, https://mbda.berry.edu/items/show/13052.